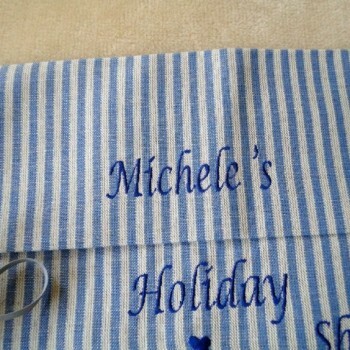 The Holiday Shoe Bag, with embroidered name. 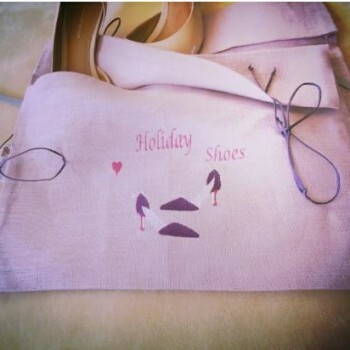 The Holiday shoe bag is a must! For anyone who has ever packed a suitcase to go on holiday. 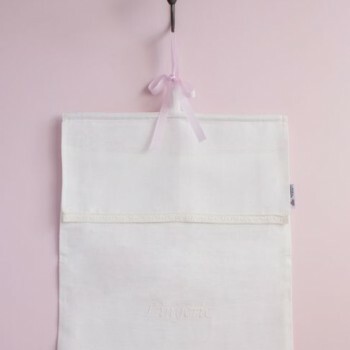 Have you ever packed all your nicest things to go away and you end up putting your shoes into a plastic bag! It doesn’t do it for me I am sure it doesn’t work for you either! 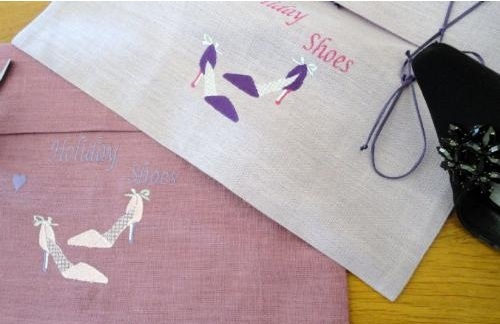 This Holiday shoe bag is embroidered with special party shoes in great colours guaranteed to cheer you up even before you go to the airport and it is very light weight! 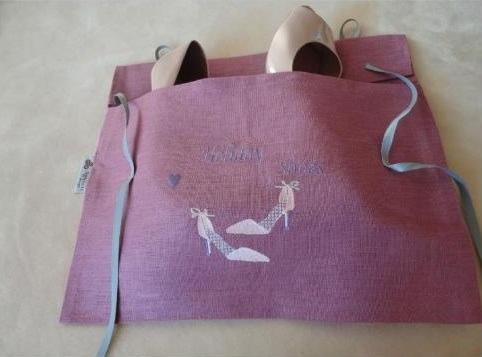 The Holiday Shoe Bag also makes a great gift if you want to treat someone special and to make it even more special you can have their name embroidered onto it! OUR price includes the name but you may also buy the holiday shoe bag without a name for less see holiday shoe bag without name for price. 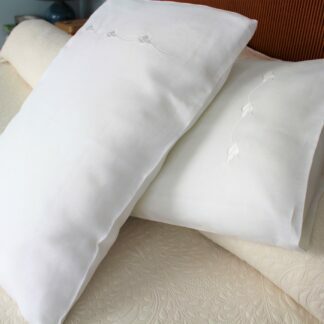 Wash at 40c (104F) or less Pure linen in a 30 degree wash or cool wash. 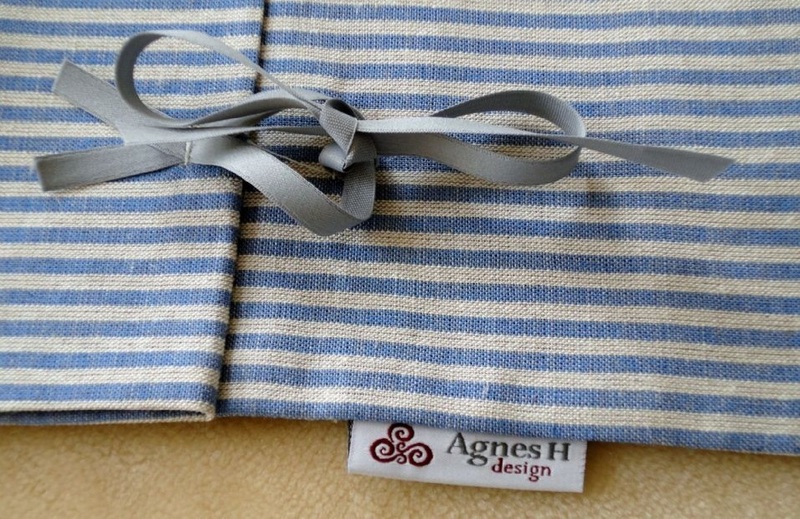 I have received a gift of one of these lovely linen bags for my shoes and it is just beautiful. 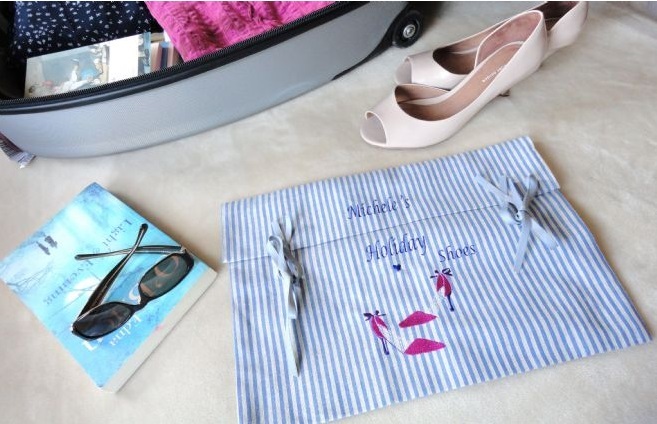 Lovely way to pack your shoes for travel. 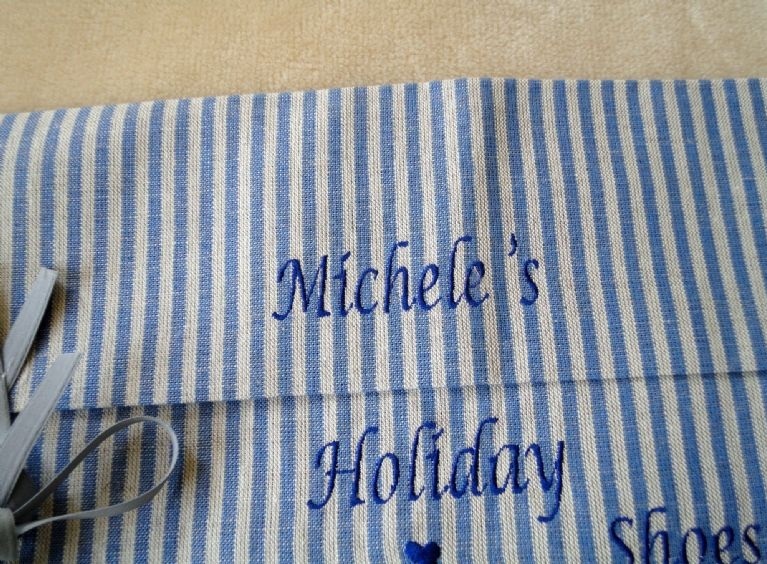 Holiday shoe bag without name.